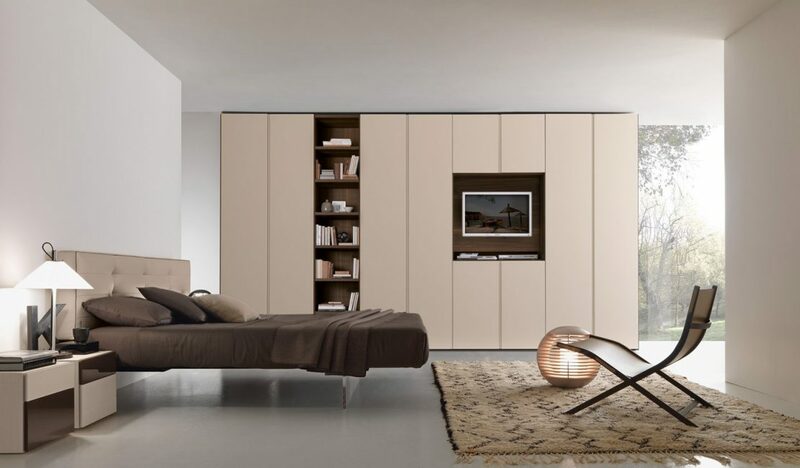 Wardrobe with Beverly swing doors in matt corda lacquer; bookcase niche and TV compartment in “aged” tobacco oak. 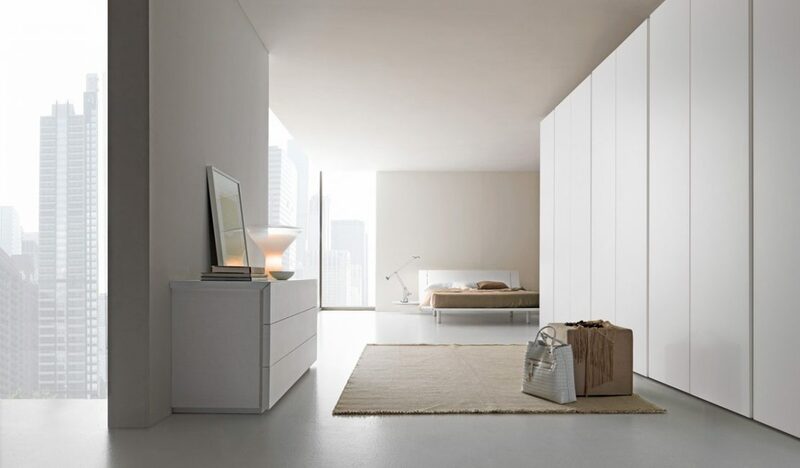 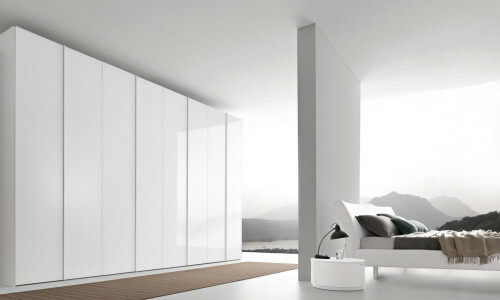 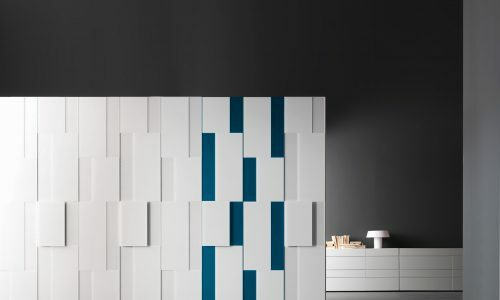 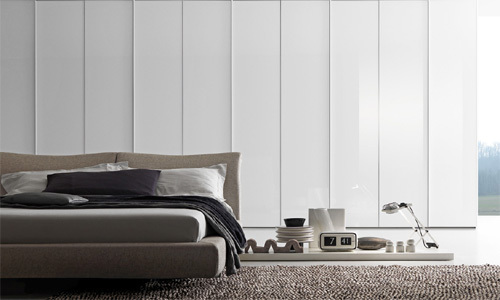 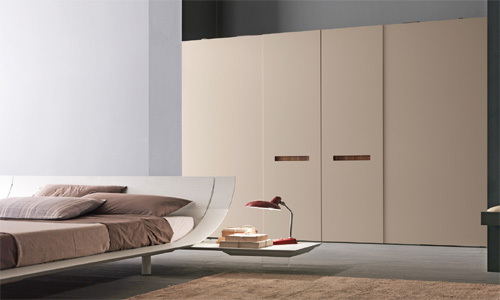 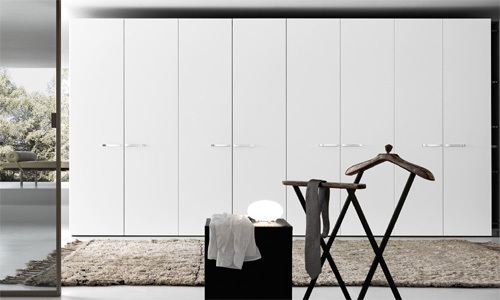 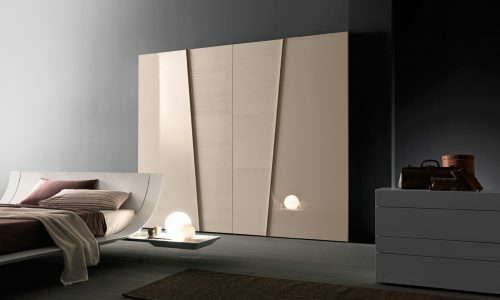 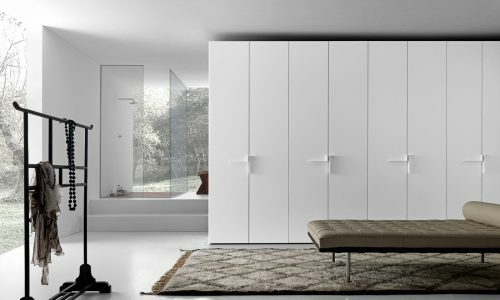 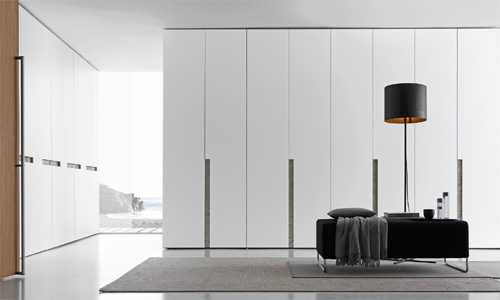 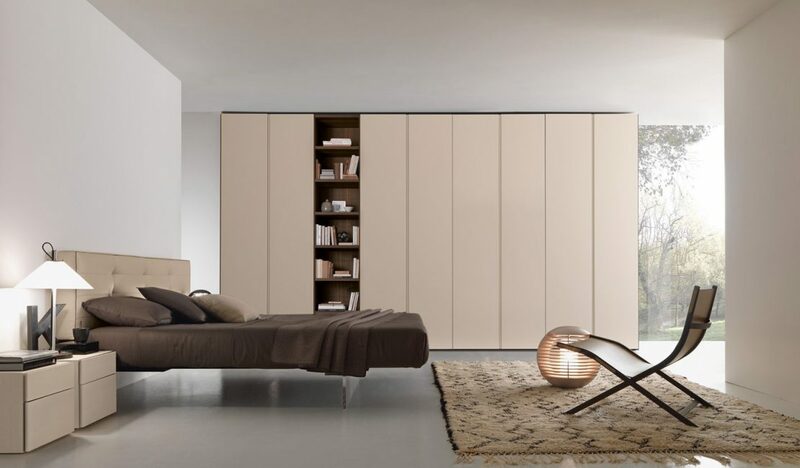 Walk-in closet at the corner of interior accessories pure white matt lacquer finish. 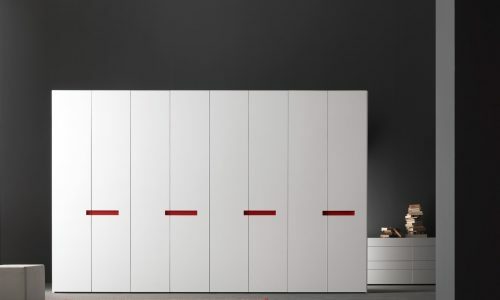 Harmonic motion made from the shelves Twist. 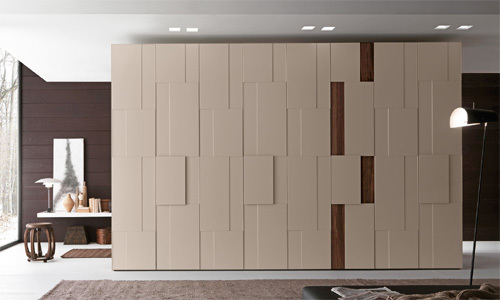 Two-way sliding track with suspended ceiling application completed by panels.